Choose the Medical Exam you need to study. We offer Basic, Clinical and Diploma Exam packages and also Subscriptions from 1 month to 12 months. Access your exams or online course subscriptions at any time from your control panel when you login to your Medical Exam Online account. Assess your performance in each assessment with focused feedback so you can identify weak areas that you need to concentrate on. Give yourself an edge on exam day by putting to good effect the knowledge and experience gained form our extensive material and learning tools. 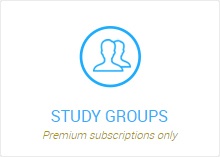 Create Study Groups and invite other Medical Exam Online course subscribers of your choice to compete against each other in timed exams. 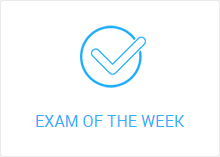 Medical Exam Online's unique 'Exam of the Week' feature allows you to participate in a weekly timed exam against other subscribers in your chosen specialty. Every day Medical Exam Online will provide a new question in your online course subscription, with supporting resource materials to help supplement your revision. ‘Medical Exam Online provides a rich source of revision material, prepared by our team of medical experts, to aid you in preparation for MRCOG Part I, II, DROG and equivalent exams. The format of the MRCOG Part 1 and Part 2 examinations changed in March 2015. 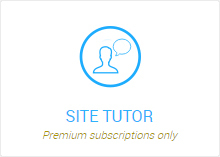 All Medical Exam Online's course subscriptions and standalone exams are designed to be compatible with these changes. 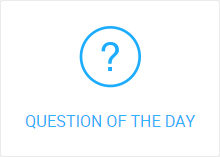 Rate questions in your assessments or leave comments about questions..
© 2019 Medical Exam Online	Terms & Conditions	All Rights Reserved.